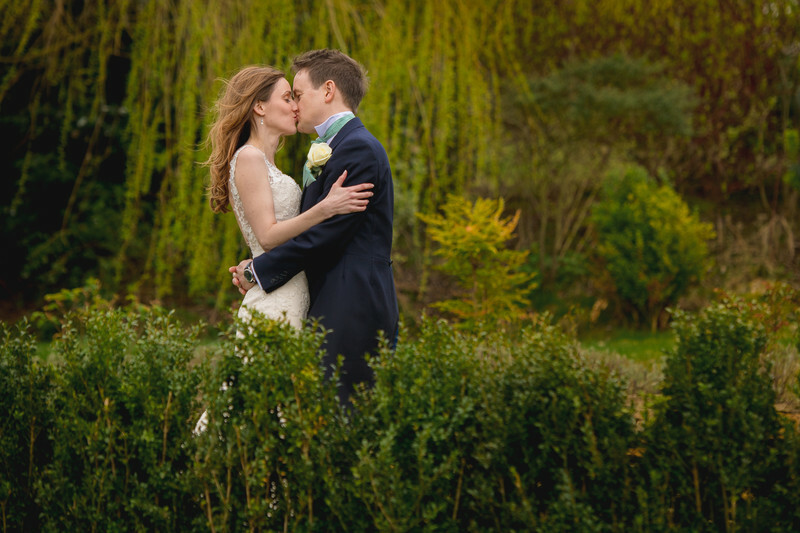 Sally and Matt got married, and had their wedding reception at Deer Park Hall in Worcestershire. I love this photo taken moments before the wedding service was due to start. I took this photo from the back of the room, where the bride was due to make her entrance from - I was actually on my way to meet the bridal party when this was taken. 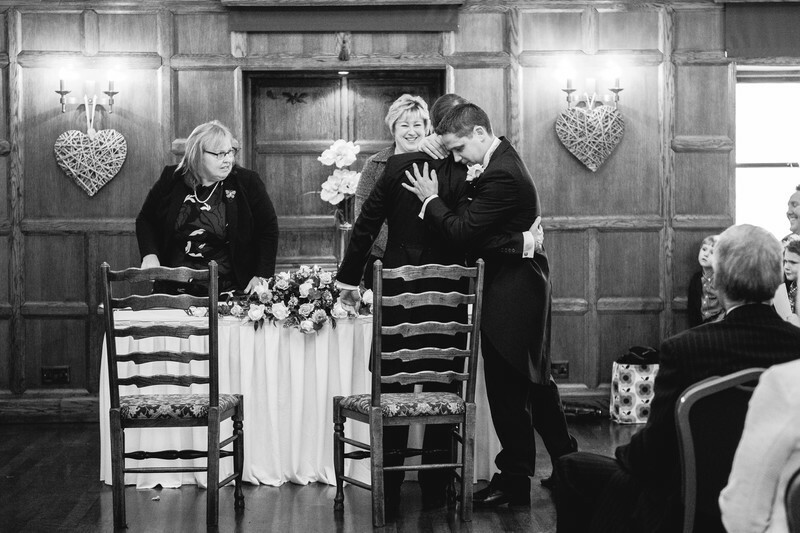 I saw the best man and the groom move to hug enough other, and managed to get this photo just in time. The more I look at it, the more I can't decide who is comforting who! Matt didn't strike me as being nervous before the wedding, so perhaps the best man was upset at the prospect of his best friend getting married? The oak paneled ceremony room at Deer Park is beautiful and really well lit for what should be a dark room. 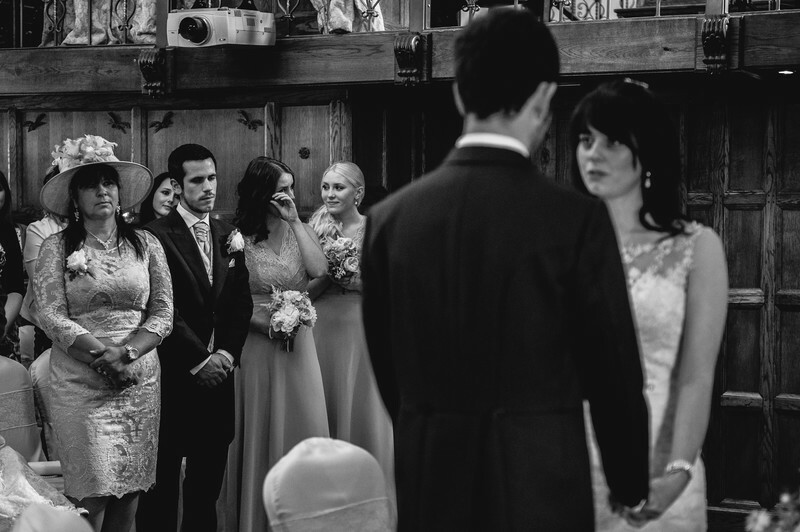 It's a lot wider than a lot of other ceremony rooms meaning that photographers at the front get a good view of all the guest and their reactions throughout the service! Deer Park Hall is one of the very first wedding venues I photographed at, and I'm honoured to say that I am now one of Deer Park's recommended suppliers. To view the Deer Park Hall wedding website, please click here.